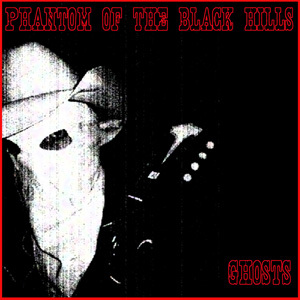 Ratchet Blade Records is proud to announce the release of Enemy, the highly-anticipated third album from the notorious hillbilly/doom country band the Phantom of the Black Hills. Enemy is the follow up to both Ghosts (2009) and Born To Gun (2010) and was produced by The Cramps bassist Chopper Franklin and mixed by legendary punk rock producer Geza X (Dead Kennedys, Black Flag, The Germs, The Mau Maus). 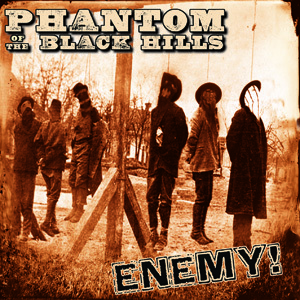 Enemy will be released through Nail Distribution in early 2013, but will be sold online exclusively through the band’s website www.phantomoftheblackhills.com and Ratchet Blade Records’ website www.ratchetbladerecords starting on Sept. 18th. Both websites are featuring a special Pre Sale offer right now, $8 for the CD and a free backpatch. 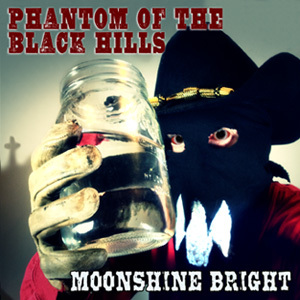 The Pre Sale page also features streaming of song samples of every track, to listen and get more information check www.phantomoftheblackhills.com/site/enemy-pre-sale-order-here for more details. 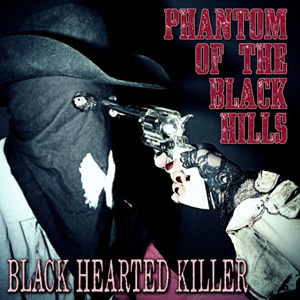 Phantom of the Black Hills is definitely one of the most innovative bands in the hillbilly/doom country genre. They mix traditional country instruments with searing guitars, distorted vocals, intense sound effects and movie dialog.